Azamgarh (Uttar Pradesh), Oct 24 (IANS) Bahujan Samaj Party (BSP) leader Mayawati on Tuesday accused the BJP governments at the Centre and in Uttar Pradesh of promoting RSS ideology. Addressing a public rally here, the second of her series of 11 public interactions, the former Uttar Pradesh Chief Minister said BJP governments in states were out to promote Hindutva agenda and hurting the country’s secular fabric. She also accused the Bharatiya Janata Party (BJP) of victimizing and targeting the minorities and Dalits. Referring to the caste conflict in Shabbirpur village in Saharanpur, Mayawati said Dalits were attacked there. When she tried to raise the issue in the Rajya Sabha, she was not allowed to, forcing her to resign from the Upper House. 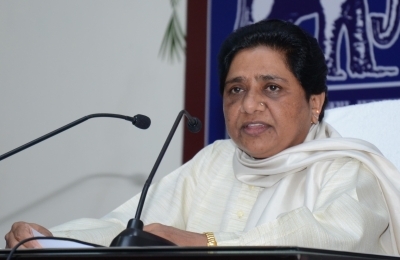 The BSP leader also alleged that the BJP had conspired to physically harm her.